The winner chosen with random number generator is Jingle! Thanks all for playing. I love reading your comments and will have to do another giveaway real soon! 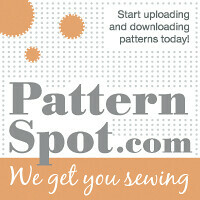 Email me with your finished projects for a chance to win free fabric!! 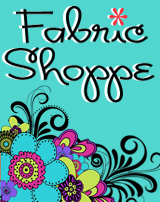 The winner of a free fabric for submitting pics of projects is CityChicCountryMouse! 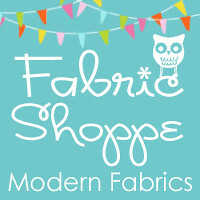 Keep those submissions coming to win your free fabric from the Shoppe! Winner of free Amy Butler fabric! I used random.org to pick a number and Sunny from "The Book Addition" is the lucky winner. Congrats!!! Also a big congrats goes out to Elizabeth who is October's winner for submitting her fabric project! I will be contacting both of you ladies for shipping details! Happy Creating! The winner for last month for submitting fabric creations is Erica of Playing Hookey! Thanks to all who submitted your completed projects in August. We are all inspired! I used random number generator to chose a number fairly! The winner of a yard of fabric of their choice from the shop is Abbadabbabags! Thanks for playing and keep those projects coming!